It’s another year, and another Valentine’s Day for the kiddo. She gets to bring treats to school to share with her friends (super exciting for a 5-year-old). 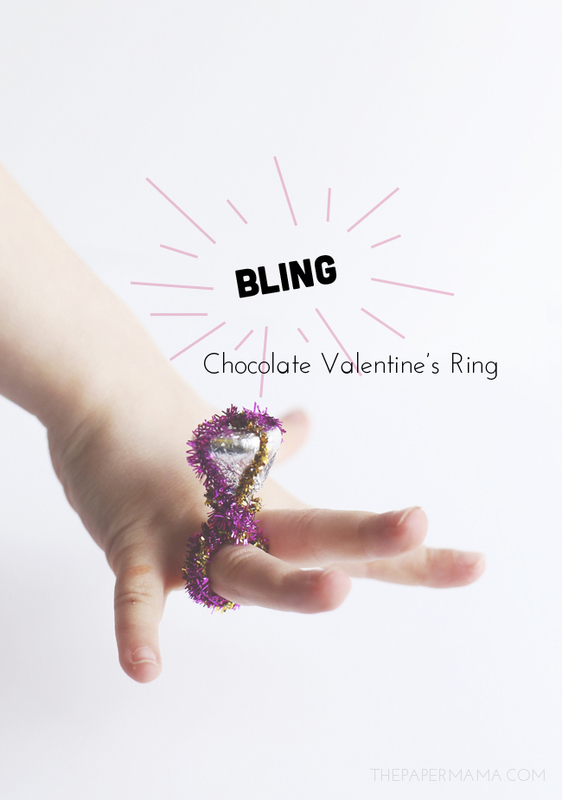 She loves dress up jewelry (and chocolate), so that’s why we came up with these Chocolate Kisses Valentine’s Rings. They are so so easy to make. 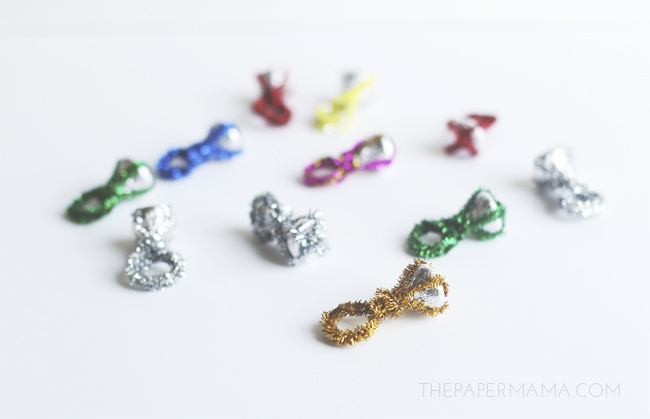 I made 16 in an hour, plus they are inexpensive… and oh so fashionable. Grab two pipe cleaners and twist them in the center. Place the twisted pipe cleaner on the center of the bottom of the chocolate kiss. Bring the pipe cleaner over to the top tip of the kiss, and twist to secure. 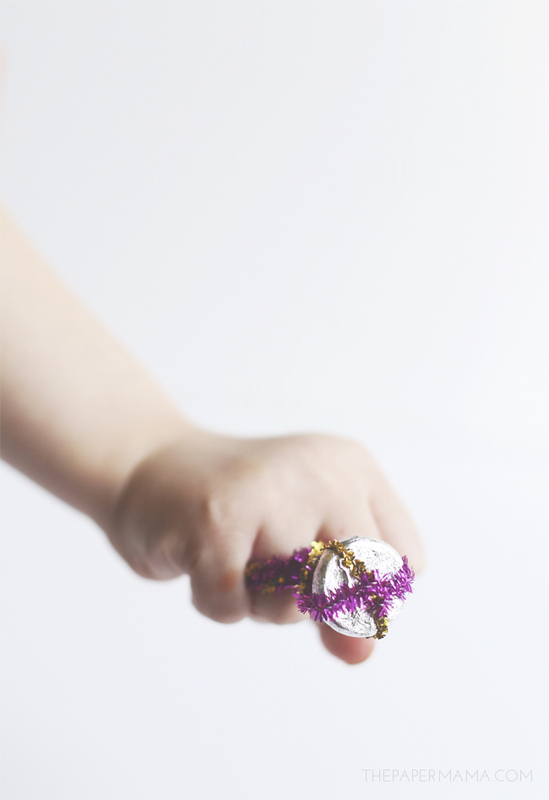 Size the ring on your finger ( I used my pinkie since this is for kids) and wrap a loop under and over your fingers, and wrap the extra pipe cleaner über the chocolate kiss. 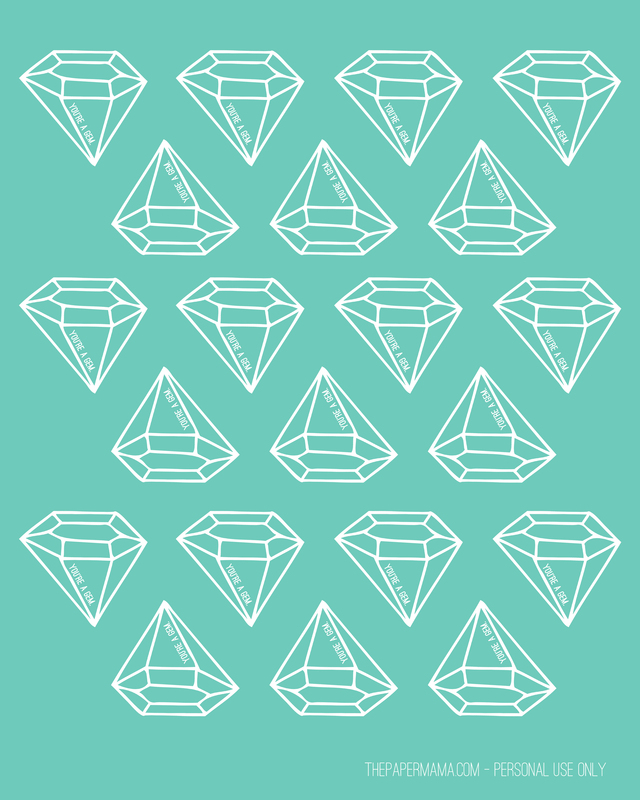 Print out the “You’re a gem” Valentine’s tags. 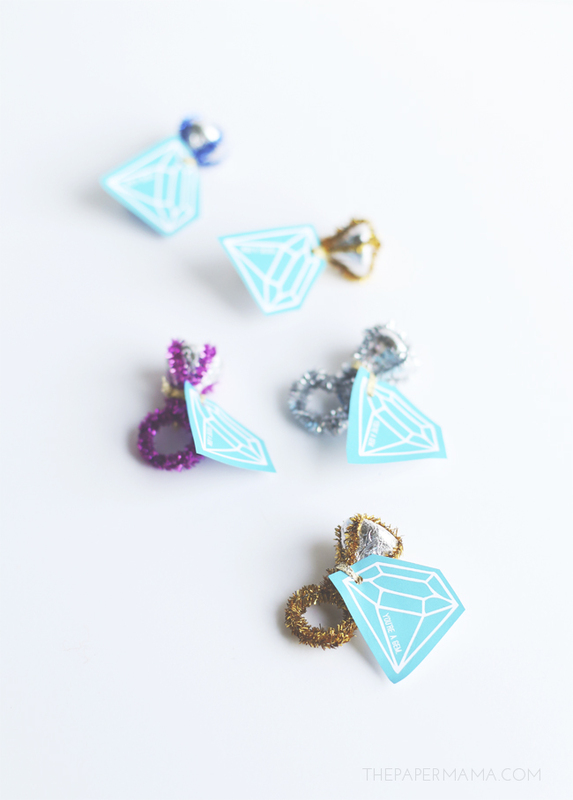 Cut them out, punch a hole in the corner, and tie the tag onto the ring with the ribbon. Since there are 5 billion kids in my kiddo’s preschool… and they are celebrating the day Thursday AND Friday, I’m sharing another very cute free printable Valentine. Come back tomorrow. I love it. GUURRRRLLLL, this is genius! LOVE LOVE LOVE!